In the Middle Ages it was known as the Morea, the Crusaders being the ones who named it after they discovered the vast plantations of mulberry (in Greek: MOREAI), used for the breeding silk worms, occupation which had made its way in Europe of that times. 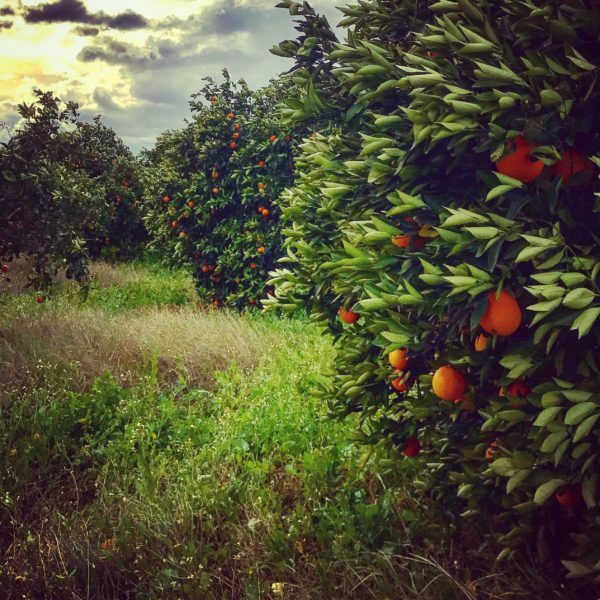 These plantations have been replaced in time by those of oranges, lemons, olives or pomegranates, which are spread as far as the eye can see, tickle your senses and recharge your soul with their positive energy. And because the road to the heart of the Peloponnese passes through Corinth, I declare myself in love with the great peak of the rock, which has the same name, the one that lies today the Acropolis –the Uptown –and down to it are found the remains of the splendid ancient city, but also an open-air museum that is enchanting its visitors with a wonderful inner garden in Roman style, but also with exceptional exhibits. All the rock is an archaeological site and it’s worth to dedicate it time and the proper attention. 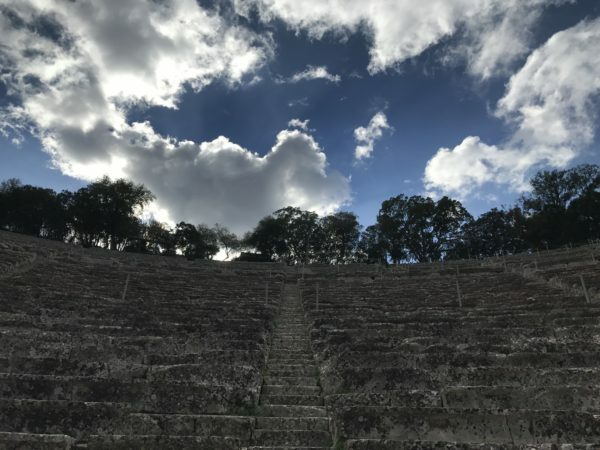 The ancient Stadium of Nemea is located at a short distance from the archaeological site of the small village with deep roots embedded in mythology. Athletes had special baths and running water of thermal origin, changing rooms and shrines to worship the gods that we can admire today due to the excavations made by the Berkeley University from California. The first important civilization, the Minoan one, ruled by the Peloponnese in the Bronze Age exactly from the „little-big” Polis Mycenae, located on the north-east of the map. Mycenene/Mykines (in Greek) is today an archaeological site of great significance and must be discovered inch by inch, because it is filled with history, myths and legends. It is said that both the citadel and its monumental palaces were erected by the Perseu with the help of the Cyclops, same as the fortress of Tiryns, located nearby. Which is the reason the legendary citadel, having the name of a fungus, has passed the test of time? Only Zeus knows… The fact is that generations of heroes succeeded on its throne, and thanks to H. Schliemann –the one who discovered the Mycenian archaeological level associated with the Homeric saga –you almost see, with your mind’s eye, Agamemnon and the ancient Greeks passing through the gate of the Lions –ready even today –on their way to Troy. In ancient times, in the peninsula were some of the most powerful cities in the world and here were given some of the bloodies battles, as well. The Peloponnese fell into the hands of the Romans who were expanding , in 146 BC becoming the province of Achhaea, and then became part of the Byzantine Empire, although some regions were lost in front of the Venetian and Francs invaders, and in the end the Ottoman Turks occupied the entire region at the middle of the 15th century. Its inhabitants played an important role in the Country’s Independence War and the city of Náfplio –located on the East Coast – became the premises of the first independent Greek Parliament. Today, Nafplio is one of the most enchanting destinations and deserves to be enjoyed slowly. 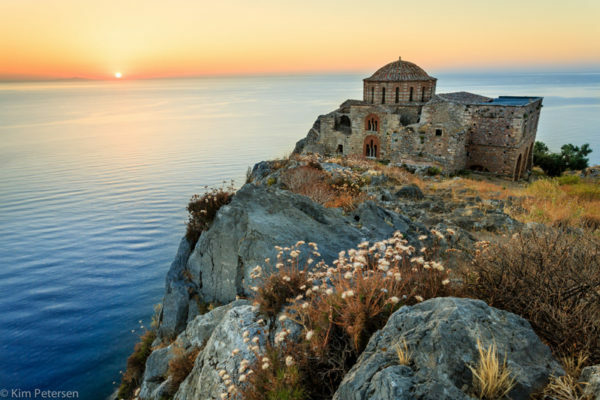 The same happens with the local pancakes, the coffee at the promenade, but also with the most beautiful sunset… The Palamidi fortress is reached by stairs or by car, but each of 1,000 steps that you can overcome with small steps brings a victory over the horizon, the inner living or… muscle contractures! 7,000 years of history continues to recommend the fortress of Argos as “must see” destination on the holiday map, even if the fortress is in reconstruction works and I openly recognize that I jumped the fence –which I found it irresistible, especially that a wooden staircase, was tempting me to lawlessness, strategically placed right next to the wall. Unique photos, indescribable sensation, lifetime memories. I touched the walls with admiration, smelled the poppy flowers and left with a deep respect for ancestors. And no, I didn’t leave with anything that I could found on the grass – from the cannonballs to amphorae, or I don’t know what other marvelous things. Those objects belong to the place and must remain THERE, being a little strange to see that things are somehow… abandoned, especially that it is well known their historical value. Below on the map, Monemvasia –probably my favorite place and an example that it is possible. The island was linked to the Peloponnese through a 200-metre-long stone bridge, and the old fishermen’s village, from the cliff, often compared to Gibraltar, which turned into a wonder protected by UNESCO heritage in recent years. Locked between stone walls, it is a special romanticism, smelling like salt and wild plants, Monemvasia is the well-guarded secret of Greece. Yes, I wish it was all mine… and probably the same think the Greeks, proud of their jewel.